The AIB is honoured that every year, leading figures across TV, radio and online media agree to judge the international media excellence awards, the AIBs. Last year’s judges came from every continent and represented major media companies, independent producers and others involved in the global media industry. You can see their pictures to the right. To see a list of our 2016 judges please click here. 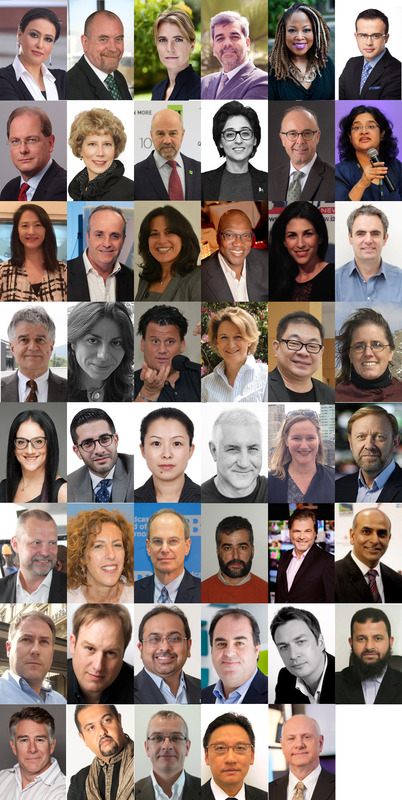 We work hard to ensure that our panel is truly international, with representatives from every continent reflecting very different cultures and with very different media markets. That ensures that entries to the annual AIBs are looked at by people from all over the world with their own particular perspective. That helps us to ensure that a story is truly world-class and can travel successfully into different markets. If you are interested in being a judge for this year’s AIBs, please contact us.